Betsson teases their players but makes it hard for them to start playing! 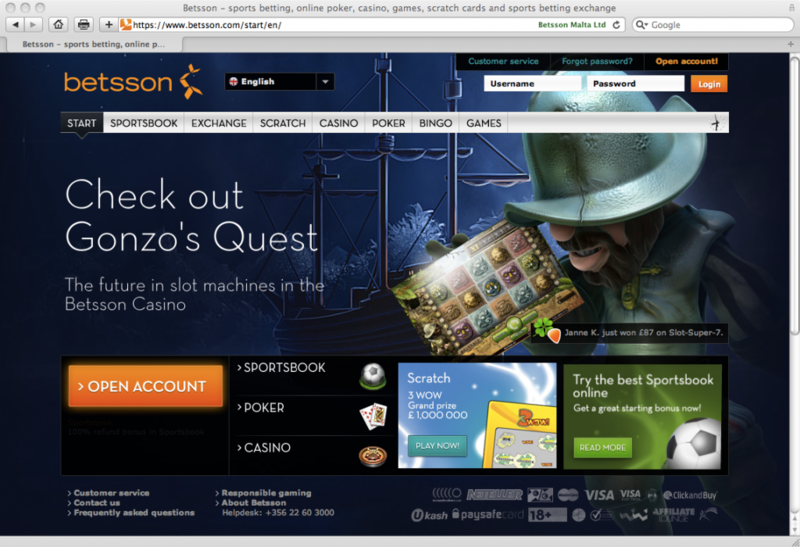 Betsson updated their gaming portal a while back and now have different backgrounds (they are like full screen banners) on many pages. It makes the portal feel more alive but I see a big problem with it, a problem that can be easily fixed though. The “banners” (backgrounds) are there to make the players interested in a specific game or event. But what should the player do after he’s seen it and want to learn more or try out the game? He tries to click on the “banner” but nothing happens when you do so! Insted a player needs to find the game for himself. This adds a hurtle for the player to get over and he can loose focus when he tries to find the game and do something else insted. Hopefully he’ll find something else on Betsson.com of interest and start to play, but there is a big chance that he will do something else on the web insted. In that case it is a lost player for Betsson! There is a very easy solution to the problem! Betsson should either have an image map so the player can click anywhere in the image and go to the game. The other thing Betsson can do is to add a “Play now” button or something similar.